Creo Flexible Modeling Extension FMX was developed from a previous software package called ME30 or Co-create modeling tools. Fully integrated into Creo 3.0, these robust Flexible Modeling functions are a fast and powerful set of geometry editing tools that enable users to quickly and easily make direct changes to parametric designs. 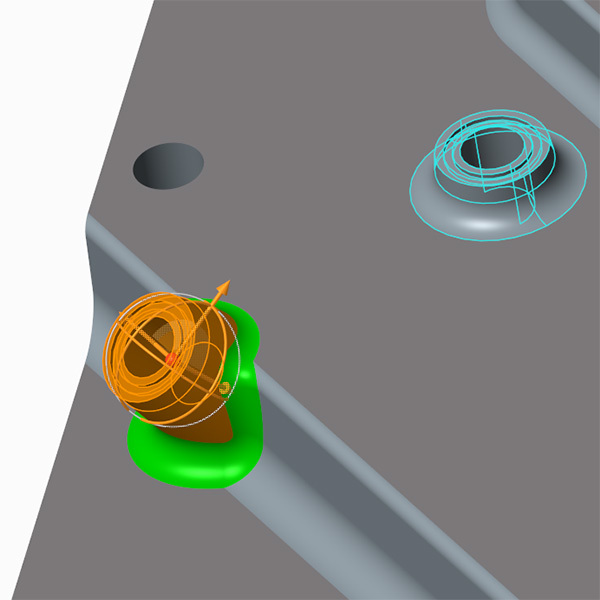 Creo FMX allows participants to add parametric design intent to IGES or STEP data imported from other CAD systems while preserving design intent and capturing edits as parametric features. 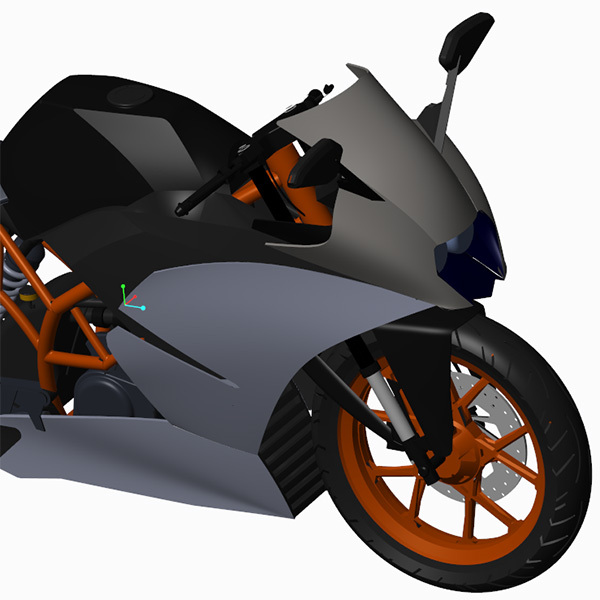 Creo FMX saves users time and effort by eliminating the need for rework and design recreation. It is just as easy to modify third-party or legacy design data as it is to modify Creo Parametric parts and features. Learn the basics of Import Data Doctor / Learn to import export parts & assemblies. Learn to handle and manage problem import geometry using IDD or import Data Doctor. Participants edit and iterate existing 3D design concepts faster with the flexible capabilities in Creo FMX. Learn to modify 3D geometry faster and with more flexibility, accelerating your detailed design process. Learn to work faster with imported data. With Creo FMX participants can edit geometry on imported data so you can work faster and more efficiently in a multi-CAD environment. Accommodate late design changes. 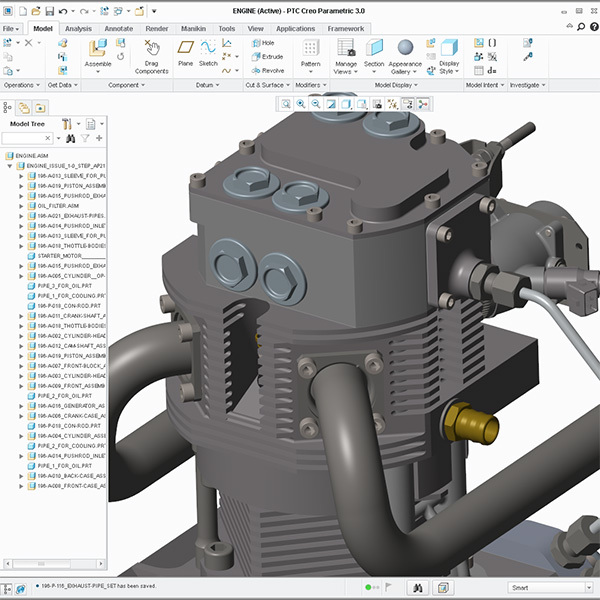 Creo FMX gives you more flexibility when editing your 3D CAD models so you can execute changes faster and easier. Smart filters for fast, intelligent, and automated selection • Selection filters for geometry, features datums, and more. Lean to use shape-based selection capabilities. Combine multiple selection criteria to quickly handpick desired geometry for editing. 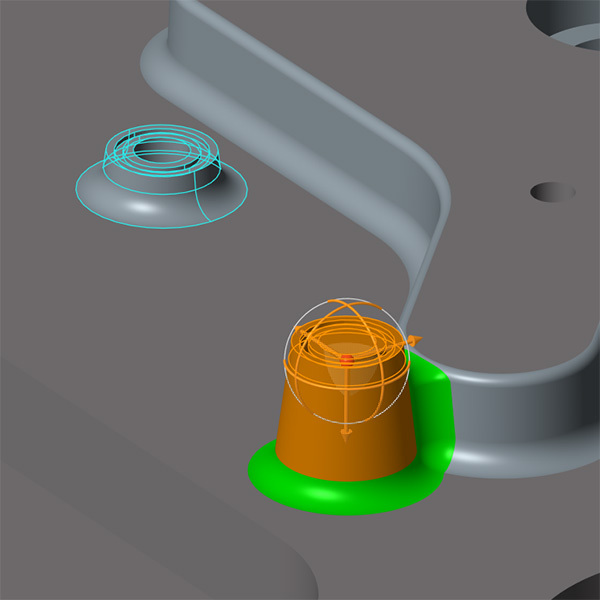 Geometry rule-based selection gives you more control over complex parts. Advanced selection techniques to exclude surfaces from the selection set. Move geometry faster and easier – The 3D Dragger tool allows you to “push-pull” your geometry to the desired position – Constrain selected geometry to be positioned relative to any desired reference by the desired offset dimension – Work with an assembly -style workflow – Constrain your selected geometry to any position in the model – Assembly constraints are remembered and solved at regeneration time Recognize patterns of geometry in imported parts and propagate geometric changes to the pattern members with Creo FMX. Geometric editing tools – Move – Offset – Substitute – Mirror – Pattern – Edit Round – Modify analytic shapes like cylinders, spheres, tori, and cones – Attach • Remove Precise control • Automated control over how attachment, round, chamfer, and solution topology is executed Geometry recognition. Learn to Support pattern recognition and editing – Change the number of instances – Change the spacing of the pattern. Learn to support symmetry recognition and editing Propagation. Learn to use Move, offset, edit round, edit chamfer, and modify analytic changes can be propagated by symmetry or pattern • Propagate geometric changes made with Move, Offset, Modify Analytic, and Substitute to neighboring tangent surfaces to maintain tangency. Automatically replicate edits on a pattern. Discuss proper import geometry procedure with STEP & IGES. Original design intent is preserved and your edits are captured as features that can be further modified in the future. Accommodate late-stage changes to your engineering design faster and with less frustration with this flexible modeling approach. Discuss working on IGES or STEP models. Discuss how we can ultimately work more efficiently in a multi-CAD environment by easily incorporating and editing data from other CAD systems. You can also add parametric design intent to imported data. Faster, more flexible 3D editing increases the efficiency and productivity of detailed design and downstream product development process. Intuitive, direct interaction with Engine Import geometry. Manage changes to a bike saddle substrate geometry. In Class initiative to perform a wide variety of engineering change orders to the KTM motorcycle import. Onsite Training: Creo Flexible Modeling Extension FMX and all Design-engine courses are offered onsite at your facility also. Call to speak to a Design-Engine account manager to arrange a class 312.226.8339 today. Prerequisite: learning Creo Training level 1 is recommended but not necessary however a significant understanding and previous use of Creo or Pro/ENGINEER will be helpful. *Please note that prices listed on this page are based upon pre-payment prior to the start of the class and does not include the Design-engine Video training Delivery System. The TDS is available as an additional cost to this course.